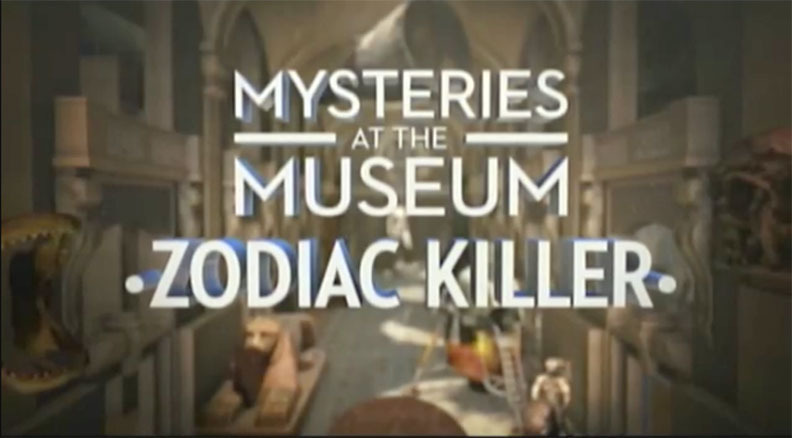 Season 2 of the popular true crime podcast MONSTER features a 15-episode series devoted to the Zodiac mystery. Rolling Stone magazine published a brief article about the series, and The Wrap posted also posted a story about the premiere. 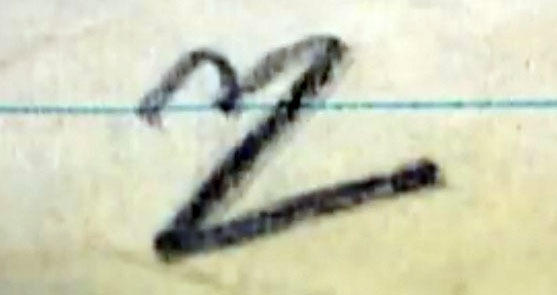 The series features retired Vallejo police detective Ed Rust, photographer Tom Balmer, former San Francisco Chronicle reporter Duffy Jennings, criminal psychologist Eric Hickey, San Francisco State University historian and lecturer Peter Richardson, cipher expert David Oranchak, writer Michael Butterfield, and others, with audio clips of surviving victim Bryan Hartnell, Leslie, the daughter of Zodiac codebreakers Donald and Bettye Harden, possible Zodiac victim Kathleen Johns, SFPD Inspector David Toschi, park ranger William White, and many others involved in the case. 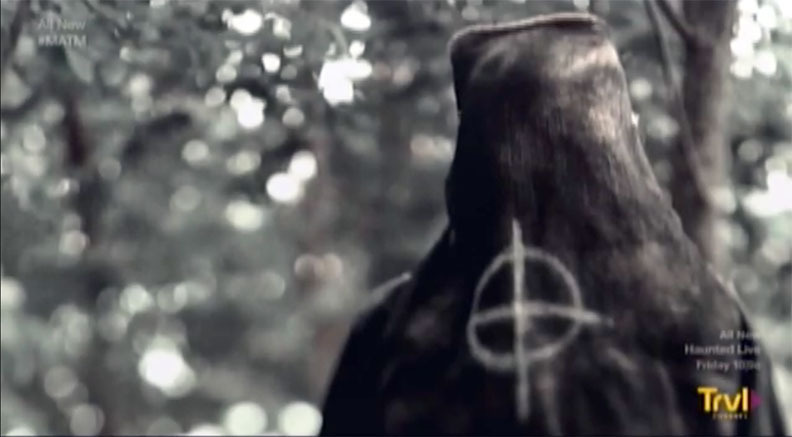 Listen to all 15 episodes of MONSTER: THE ZODIAC KILLER at iHeartRadio. Episode #1 premiered on iHeartMedia News/Talk radio stations on January 2, 2019. According to several reports, MONSTER: THE ZODIAC KILLER reached more than 12 million downloads in the months of January and February 2019. 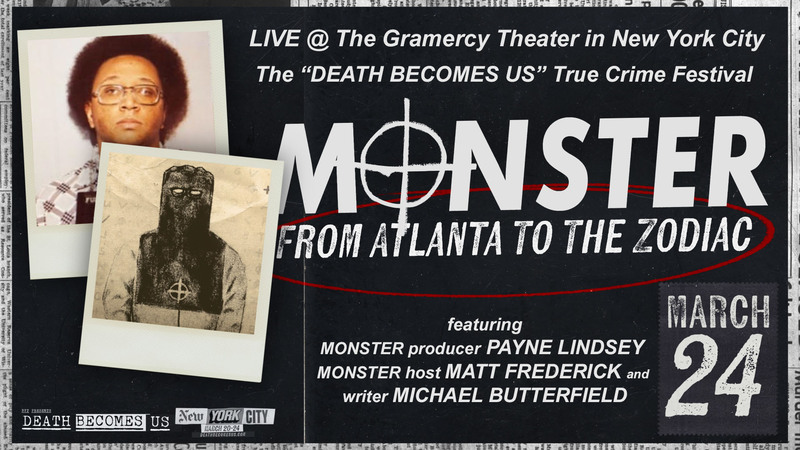 On March 24th, a live episode of MONSTER was recorded at the Gramercy theater in New York City, including a Q&A session with the audience. In June 2018, I traveled to San Francisco to participate in an upcoming Zodiac project. As usual, the trip included some free time between appointments and I took a walk in the city. 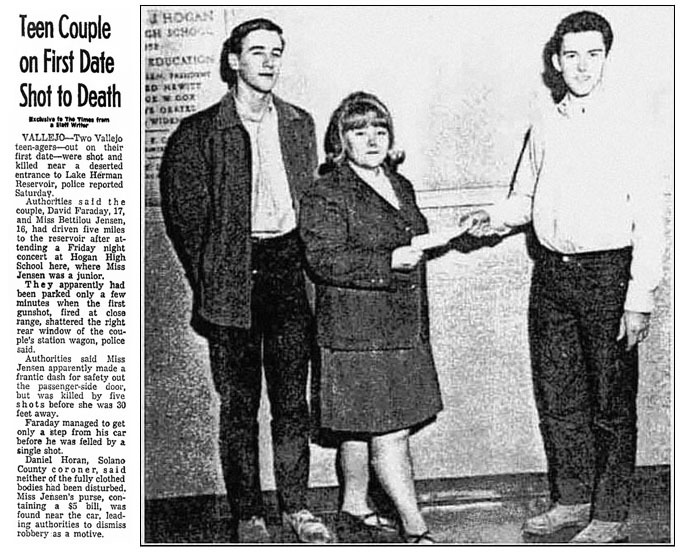 My hotel was near the intersection of Mason and Geary, where some investigators and researchers believe the Zodiac had selected his last known victim, cabdriver Paul Stine, in 1969. The intersection had changed in many ways in the decades since, but one thing remained the same, the PineCrest Diner, established in 1969. I decided to dine at PineCrest. Joining me that evening was software engineer and noted cipher expert David Oranchak, also the owner of the website ZodiacKillerCiphers.com. I had communicated with Dave via emails and online chats, but this was our first in-person meeting. I quickly discovered that Dave was intelligent, insightful, and funny as we discussed various aspects of the Zodiac saga. We met again the next day for another meal and another great discussion. 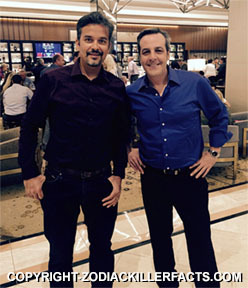 As I often note in public interviews, I am not an expert regarding ciphers or cryptography, and, I rely on people like David Oranchak to help me understand the complex issues surrounding the Zodiac’s ciphers. I read Dave’s numerous articles online and watched videos of his presentations to the NSA’s Cryptologic Symposium, but talking with him in person was a very different experience. I was immediately struck by Dave’s ability to simplify some issues and offer accessible explanations. Many of us can examine and reject a proposed cipher solution but Dave could provide an easy-to-understand explanation of the solution’s pros and cons. 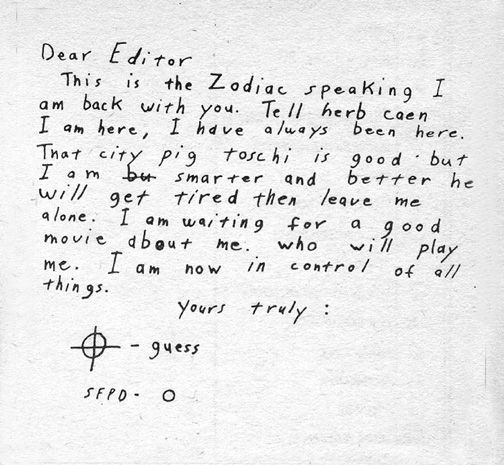 Like many people, I am fascinated by this part of the Zodiac mystery, and I appreciated Dave’s thoughts and observations. 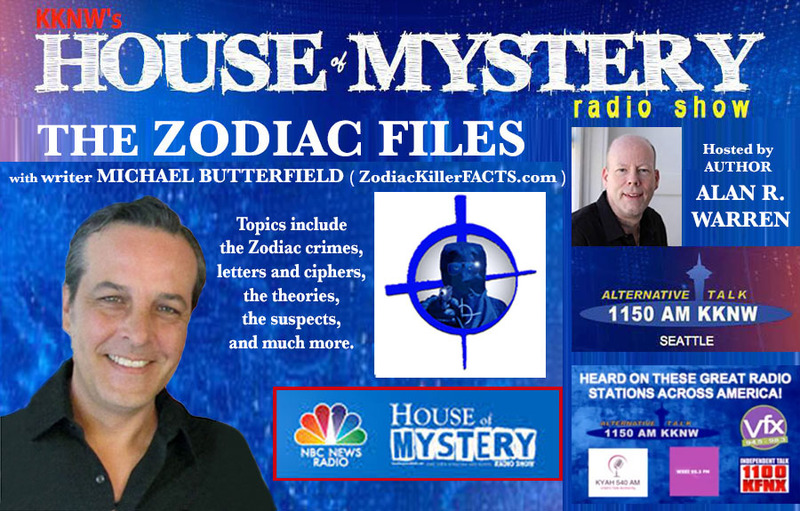 Shortly after my San Francisco trip, I was planning the next episode of the audio series The Zodiac Files with House of Mystery radio host and author Alan R. Warren. 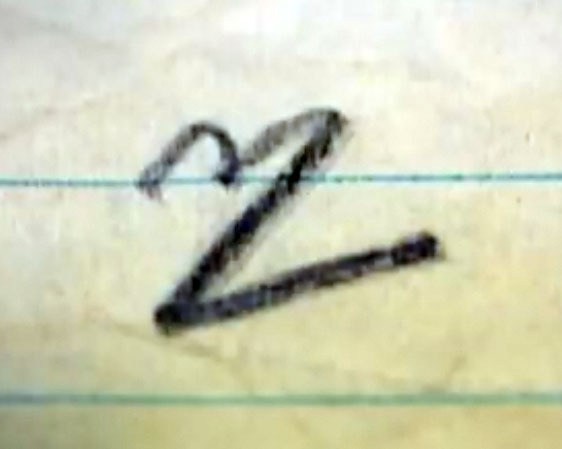 Al mentioned that he wanted to do an extended series of episodes about the Zodiac killer. The expanded format provided time for more in-depth discussion of various issues, and we decided to invite others to join the program. 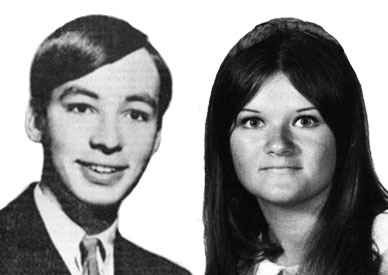 David Oranchak was a natural choice, along with Mike Morford, host of the Murder in the Family podcast and the owner of ZodiacKillerSite.com. The result was a late night, 4-hour marathon recording session, and I enjoyed the interesting and sometimes amusing conversation with Mike, Dave, and Al, covering a range of topics including the Zodiac crimes, the letters, the mysterious ciphers, the theories, suspects, and much more. The original radio broadcast aired in Los Angeles, California, and the episodes are now available online at the House of Mystery channel on YouTube, Spreaker, and other audio streaming sources. 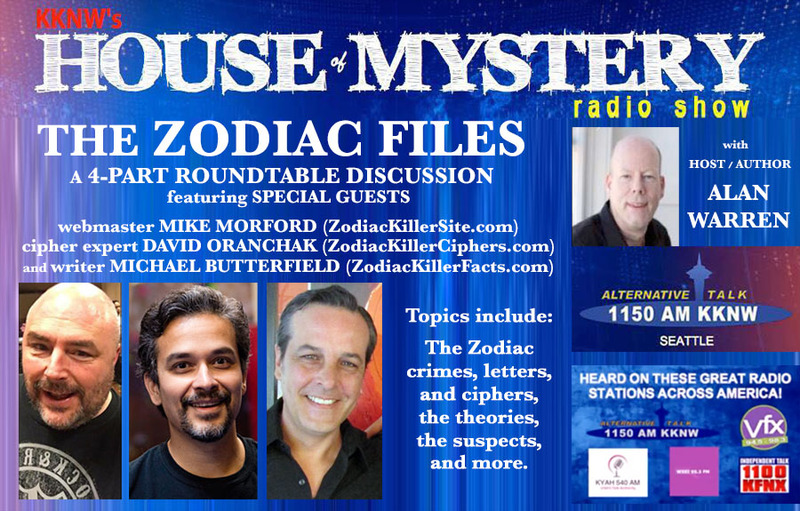 Click on the links below to listen to The “Zodiac Roundtable” discussion with webmaster Mike Morford (ZodiacKillerSite.com), cipher expert David Oranchak (ZodiacKillerCiphers.com), writer Michael Butterfield (ZodiacKillerFacts.com), and host Al Warren.